RAIN or Shine is missing two key starters due to injuries in its PBA Philippine Cup semifinals series against Magnolia, but the team's impressive depth is making up for the losses. Already without big man Raymond Almazan, the Elasto Painters' woes were compounded by the loss of guard Maverick Ahanmisi. The Fil-Am guard was not in uniform for Game 2 of the best-of-seven series at the Smart Araneta Coliseum after hurting his foot early in Rain or Shine's 84-77 win in Game One. 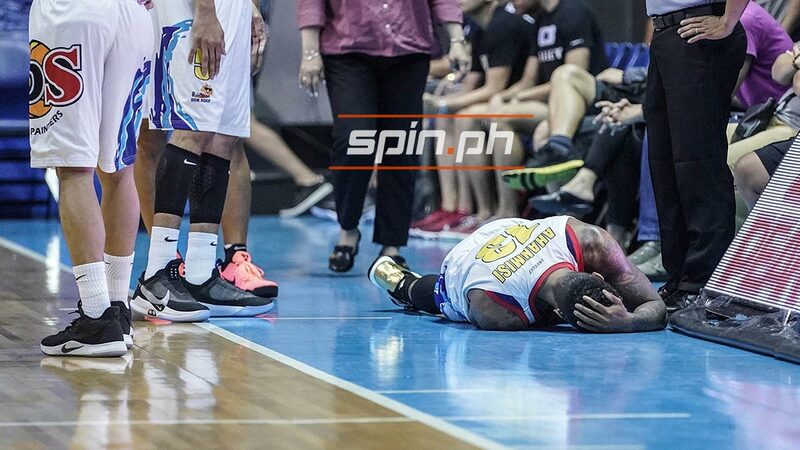 Almazan meanwhile, has long been sidelined by a calf injury. But the Elasto Painters appeared to have quicky adjusted to their absence as back-ups such as Norbert Torres, Kris Rosales, Rey Nambatac, and Ed Daquioag have stepped up to fill the void left by Ahanmisi and Almazan.